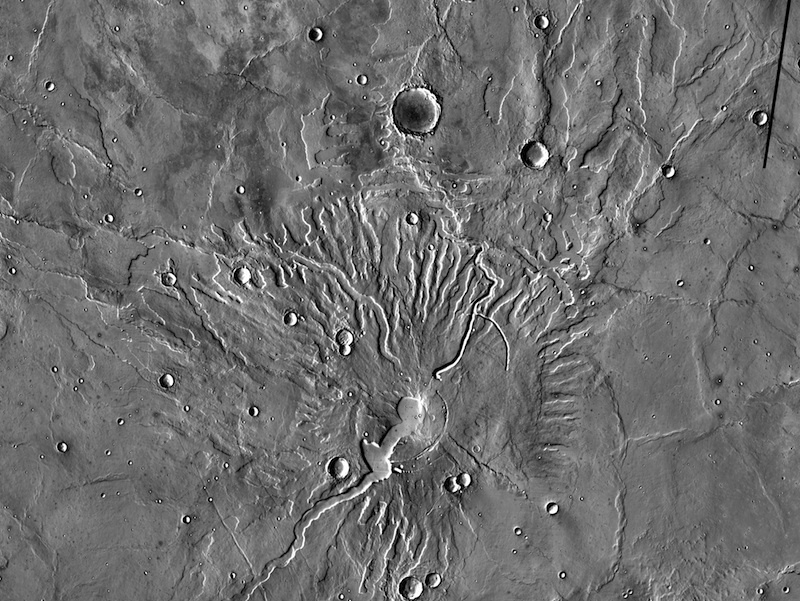 Patera (pa-TERR-ah): Scientists have used the Latin word patera (plural: paterae) for different kinds of volcanic features from early in Mars exploration. This naming convention, or nomenclature, was used before they were more certain of the features they were observing. All paterae describe broad, shallow depressions or hollows, usually with irregular outlines. Many are actually calderas, the shallow depressions found at the summits of volcanoes. A caldera forms when the column of molten rock inside a volcano recedes, and the unsupported summit rocks collapse partially. In cases where several calderas overlap, it indicates that magma has risen and fallen several times inside the volcano. 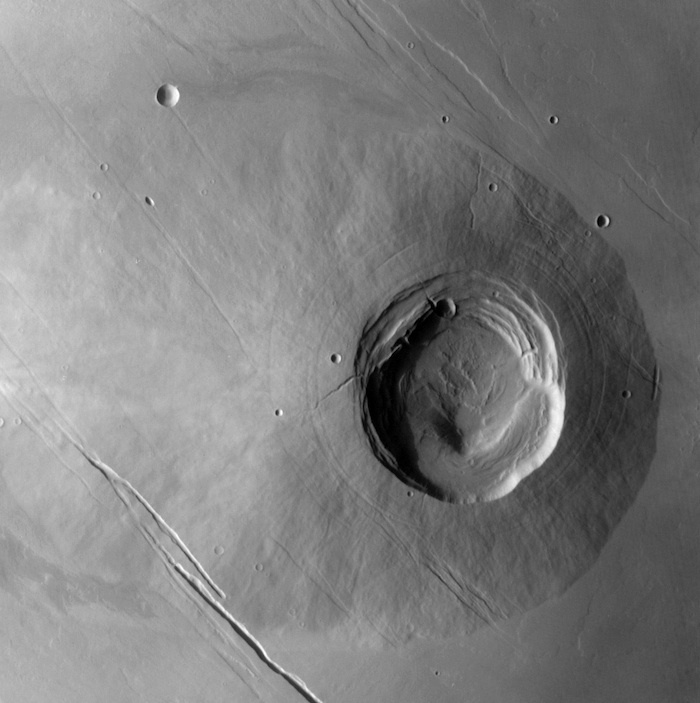 Patera is also the name given to a number of low-profile volcanic vents lying in the southern highlands, outside the rim of the Hellas impact basin. Some scientists think these are the remains of volcanoes that erupted after the basin-making impact. These paterae may be the result of an earlier kind of volcanic activity triggered by giant impacts, but not seen later in Martian history.